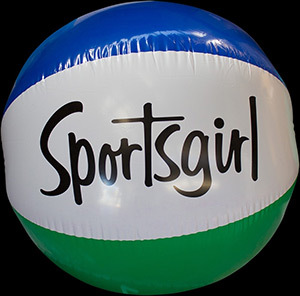 Sport balls are all the rage and make unique and interesting gifts to employees or clients. 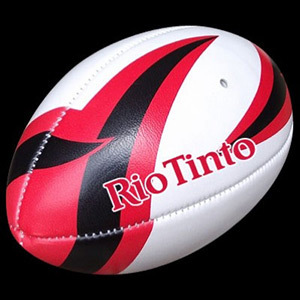 Let’s face it, few companies would take the time and effort to design printed rugby balls with your branding style or in your company colours. It depicts a high level of commitment to the lucky recipient be that a staff member or a client. Rugby balls are available in mini sizes for promotional events, and contain four panels, each panel illustrating your personal messages. For the clients who have seen all the promos out there, consider something special, like a vintage rugby ball made of 100 percent leather. Your logo is embossed onto each panel in full colour and the small size is perfect for a gift that makes a huge impact. Have you ever considered donating custom-made soccer balls for a local team, to celebrate their sportsmanship? This would be an interesting way for local a local company to make a positive impact on the community. They could be regulation size and weight or mini size for non-professional athletes. You can include your colour scheme, whether it’s one solid colour or more. Your choice of balls can have printing on them to show your message or slogan for promotional giveaways and this will definitely put your business a step ahead of the others. Branded sports balls are a popular way to promote your team or business. Dynamic gift.co.nz gives you multiple options in design and selection making them fully customisable for promotional balls. Soccer, golf, rugby, we provide it all! Soccer balls are available in 4 or 5 sizes and 3 different grades of quality material. Each ball is hand stitched and meets the industry standards for match grade, training grade or promotional grade. You are welcome to use our free artwork, or better yet, send us your own, just how you want it shown. You can revise you project as many times as it takes to create the perfect look. The mini soccer balls are 12 panels, hand stitched and a soft stress style. This gives the option of digital printing and multiple colours.Mini balls were fashioned with marketing give-aways in mind. 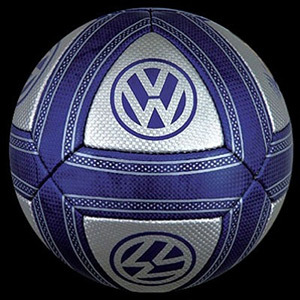 Branded footballs available in multiple customised patterns or full block colours with your slogans or catchwords. Promotional or regulation sizes are available. Free artwork design is included with as many revisions as it takes to create the presentation you want. If you choose to send a copy of your logo, adobe illustrator format is best for producing clear and concise images. Giveaways are a great method of improving customer relations and when made with durable high quality materials longevity is a given. Those balls, carrying your name, will probably be passed around for a long time to come. Do you have a customer that would be open to suggestions, like a competition game amongst their employees? You could offer promotional balls with appropriate lettering and pictures - they would never forget what you did for them. Our Auckland office is prepared to supply all your needs anywhere in New Zealand, nationwide, with fast courteous service and quality-customised products. Sport balls are all the rage right now and make unique and interesting gifts to employees or clients. Let’s face it, few companies would take the time and effort to design printed rugby balls with your favourite picture or in your company colours.It depicts a high level of commitment to the lucky recipient.